UI/UX - designer, who is looking for a job in the coolest design studios to show that I am worthy to make great design projects for people. 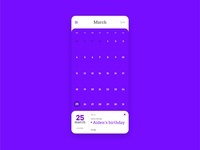 Samsung Calendar App in Purple Theme — My version of a renewed Calendar app from Samsung in Purple theme. 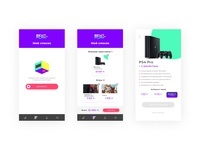 Console Rent Mobile App part one — Design of mobile app for console and games renting. 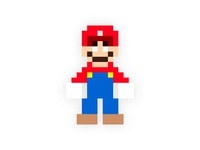 Pixelized Mario — Mario character illustration in pixel style. 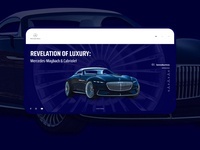 Mobile Website Design of Mercedes-Maybach 6 Cabriolet — Four screens of the mobile website for the concept car. Groovy Vinyl Shop Logo — One of the variations of the logo for a music vinyl shop. 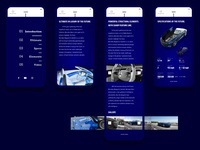 AR — The real world becomes more interesting through AR. 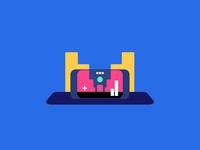 Submarine — Flat submarine illustration. 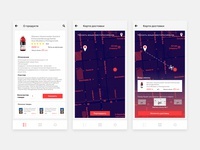 Fitness Market App — Design for the fitness foods order and delivery app. Star Bird Logo — Logo for a navigation company. 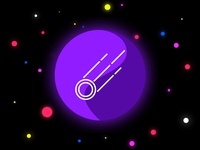 Meteor — Minimalist illustration of the meteor, flying through planets and stars. Groovy Logo — Logo for a music shop.